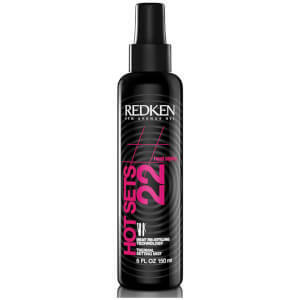 Say hello to extra volume with Redken Styling - Full Effect (250ml). Designed to add height and fullness without making your hair feel crunchy or sticky, this fabulous mousse also contains UV filters and vitamin E to protect your hair from environmental aggressors and prevent colour fade. - L.M. This is a beautiful mousse, light hold, weightless, and makes your hair feel very soft and shiny. However, if you want the supposed extra volume, and you have a shoulder length layered bob, I would say go with Guts10. This one provides almost no lift on my hair. Again, I feel that this would work better on shorter, lighter hair. But as I said, the finish is gorgeous and non-sticky, providing you don't want oomph! I have fine/thinning hair. This hair mousse gives my hair body and volume. It’s the best product I have ever used and price is amazing. I used to buy from my hairdresser and it was twice the price!! Fantastic for getting lots of volume for fine hair,a small amount goes a long way,gives lots of shine,definately gives fine hair a boost. Really good product. Always love redken and this is no exception. Lasts a long time as you only need a small amount. Gives good body. Only just started using this as Redken body full was discontinued & so far so good, was a bit worried incase this was sticky like most other mousse products but it wasn't at all so really pleased with this, hair felt really nice once blow dried & has kept nice , feels more fuller. Best price on this site, excellent service, fully informed by email from ordering to delivery, came within 48hrs.